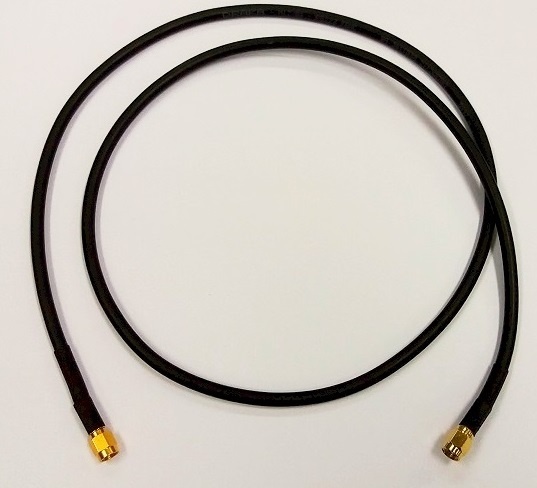 S810 Antenna Cable for CSL RFID Readers and Antennas - CS810 is a customized length RF coaxial extension cable for CSL RFID Readers and CS790 Ultra-Thin RFID Antennas with Reverse Polarity SMA plug at one end and Normal Polarity SMA plug at the other end. The CS810 cables are singularly assembled and tested in factory to insure extraordinarily low return loss. Convergence CS810 cables can be ordered in customized lengths per meter; from 1 meter to 20 meters and shipped within a week. • SMA with Reverse Polarity plug at one end and Normal Polarity plug at the other end. • Low Attenuation with 0.32dB per meter . • Double Shielded with Aluminium Tape and Tinned Copper Wire.